I bought my first used Mercedes a couple months back, and my experience with both Michael Santos and Jonathan Maxted was outstanding. I felt completely taken care of, and had full confidence in their service. 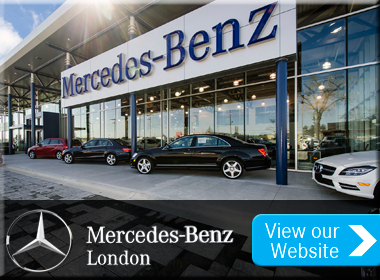 It was our first experience test driving a Mercedes, and we were sold not only by the quality of the vehicle, but also the amazing customer service. When I went in to pick it up - it was fully cleaned, polished, and looking like new. I am writing this a couple months later, after having some issues with all 4 brakes. When I contacted MB Peterborough to let them know what had happened, they went above and beyond my expectations with helping me, & fixed things free of charge (although they should not have been covered under warranty). This is truly incredible customer service, and other dealerships/ businesses could learn from these guys! Will recommend this dealer to everyone I know. Couldn't be happier, keep up the amazing work! "Best car buying experience ever. Customer needs come first! " My purchase of a pre-owned Mercedes was an outstanding experience that provided me with great peace of mind through their professionalism and integrity. These folks will not rest until you are happy. Without a doubt this was my best used car buying experience ever. I have absolutely no reservations about dealing with this team again in the future. We just purchased our first Mercedes and I have to say that our experience with Chris English was outstanding. We really appreciated the time he spent with us , his friendly service, as well as his great knowledge about the car. 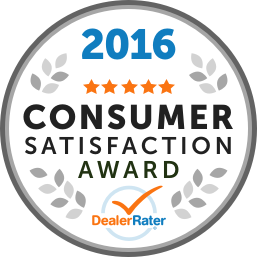 We have to say, this is the best experience we've ever had with a dealership. I highly recommend my sales person, Chris English. "First Class Benz experience as it should be. Not angry with "
They are the best of the best.!! Corporate stores and Head office that hide from quality and warranty issues, could LEARN from them. The buck stops with them at Peterbough MB, best service and staff ANYWHERE! I was on the hunt for a vehicle, did my research online, narrowed it down to two dealers, just stopped in to check out one that I saw on line and was introduced to Lacey. She was so happy and accommodating and very helpful. She did not push us to anything in particular but asked the right questions and narrowed it down to a GLK 250. We did a test drive on a 2015 (white) model and I did like the ride, but not the colour. So she went overboard to help us figure out a colour and showed me a blue, (not my fav) but after seeing it, a deep navy that matched her dress perfectly I loved it. So we went through the options of leasing or buying..originally I wanted to lease (I am a Realtor) so she showed us that option but also the 4 year balloon purchase option, it actually was overall a better option. We left the dealership feeling well informed, and went back a couple of days later to purchase it. My best moment was when she wanted to show us the 2014 blue and it was dusty, she wanted to have it sparkling clean for us to see it...we really felt that we were her only interest at that time and we had her full attention. On pickup on the following Thursday she was thorough and did not rush me through the delivery, also answered by questions with patience. I will be very happy to go back and see Lacey when I am ready for my next Mercedes! Thanks Lacey for a very enjoyable experience. Salesperson Tim Dalliday was on his game..organized and very capable of answering all questions. Nice showroom..but hot. Service area top drawer. Great test drive..route well chosen by Tim. We did not ever feel hurried.